Fly tipping or the act of illegally dumping waste is sacrilege in our industry, however a combination of government policy’s and cutbacks, increased landfill tax and a reduction in free tipping facilities for small businesses and the public are creating a culture in which people who would never consider themselves a criminal to take illegal and immoral risks in order to get by. So often when driving around the north west from one clearance to the next we are blessed with breath taking scenery. The peak district, the lake district and the Yorkshire dales are all just a short drive away from our base in Manchester and that’s not to mention the beautiful beaches down the north west coast. Unfortunately, the blissful, secluded nature of some of the north wests most photogenic landscapes are what make them so attractive to the criminal fly tippers who will offload your waste into a layby. Fly tipping is now however spreading far beyond the stereotypical cowboy builder dumping his waste on a farmer’s field. Did you know that if you contaminate the recycling bins at your local recycling area this is classed as fly tipping? Or that if you use an unlicensed rubbish removal firm and your waste is tipped illegally you are responsible and liable for a large fine? 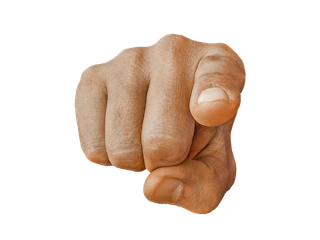 Increasingly, local and national prevention campaigns have focused on the role of the householder, specifically in terms of their Duty of Care to ensure that there is a valid Waste Carrier Licence in place and a Waste Transfer Notice has been supplied. 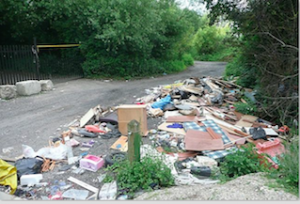 The aim is get residents to think twice about using ‘the man with a van’, who may be acting outside of the system and who cannot demonstrate a clear audit trail of where the waste has been disposed of. Many of these campaigns have achieved a high level of publicity in recent months and some have been making inroads into addressing the problem in their local areas. However, how easy is it for a member of the public to comply with their Duty of Care and make sure whoever picks up their rubbish is legitimate and will not leave them exposed to prosecution? As part of our wider research into fly-tipping in Greater Manchester, we decided to put this to the test. Read on to what happened to Dave and Maxine Platt. REMEMBER, YOU ARE RESPONSIBLE FOR YOUR WASTE, DON’T GET CAUGHT OUT !